Menu Description: "Two scrambled eggs, seasoned sausage, crispy bacon, shaved ham, mayonnaise and American cheese grilled on potato bread with a maple spice spread." After a successful Super Bowl promotion when Denny's gave away over 2 million Grand Slam Breakfast platters in February 2009, the chain revealed its next generous publicity stunt the following April by offering a free serving of its new Grand Slamwich with every purchase of a Grand Slam Breakfast. This entire breakfast-in-a-sandwich features everything you'd want in a hearty day starter including 2 eggs, bacon, sausage, ham, and cheese, all on potato bread. It seems that the taste buds of Denny's corporate chefs were influenced by the maple-flavored buns used on McDonald's McGriddle sandwich when they got the idea to brush the bread on each Grand Slamwich with a maple-infused buttery spread. Regardless of the inspiration, the Denny's Grand Slamwich recipe works great, and now you can make it at home anytime you like. With its goofy-yet-memorable name, Moons Over My Hammy is a delicious scrambled egg sandwich that can be eaten for breakfast with hash browns on the side, or for lunch with a side of French fries. When you get the sourdough bread for this recipe, try to find a good-quality loaf with large slices. Paul Wenner started his company in 1985 when he developed a meatless hamburger from leftovers at his vegetarian restaurant. Even though his Gardenburger was a hit, Paul was forced to close the restaurant due to dwindling sales. On the bright side, this gave Paul more free time to develop and sell his delicious puck-shaped plant patty. Today Paul's Gardenburger brand is thriving, with an estimated fifty million patties served in restaurants, cafeterias, and concession stands in 1998 alone. 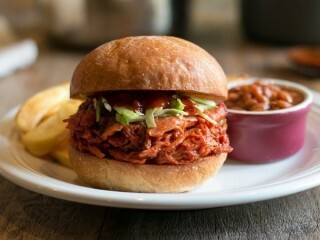 To make this clone, you'll need a food processor and a hot barbecue grill. And if you're looking for an interesting way to serve it, the manufacturer suggests you slap the veggie patty onto some focaccia bread and top it off with marinara sauce, grilled squash, and a little Parmesan cheese. In June of 1998, Gardenburger was on a roll. Bolstered by booming sales of its Original Veggie Burger, the company introduced three new varieties of its popular meatless patties: Classic Greek, Fire-Roasted Vegetable, and Savory Mushroom. The first one, the Classic Greek Veggie Patty, includes calamata olives, feta cheese, and spinach to give it a distinctively Mediterranean flavor, yet with only three grams of fat per serving. 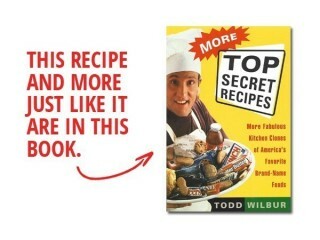 Chef Paul Wenner fathered a hot product when he ground up those leftover vegetables at his restaurant and formed them into the shape of a hamburger patty. When Paul got out ot the restaurant business, he peddled the meatless patties out of his van under name Wholesome and Hearty Foods. In 1992, when his company went public, the stock shop up to $30 from $3 on rumors that McDonald's was planning to sell the veggie patties under the golden arches. When those rumors proved to be false, the stock came crashing down quicker than sales figures for the McLean Deluxe. Later, the name of the company was changed to Gardenburger, and new products, such as the Savory Mushroom Veggie Patty, were developed. For this clone, you'll need to track down three types of mushrooms: the common white button, brown or crimini, and portobello. You'll also need a food processor to mash everything up real good. Some call them "whitey one-bite." They're also known as "sliders," gut busters," and "belly bombers." 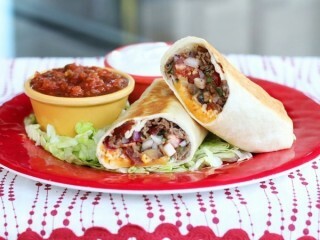 The cooking technique is unique to the chain, because it involves steaming the ground beef patties. 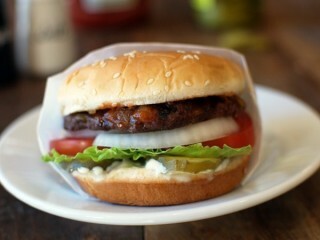 Minced onions are placed on the grill, with a beef patty on top. The steam from the grilling onions rises up through the five holes in each thin patty so that the beef is thoroughly cooked without having to flip it over. 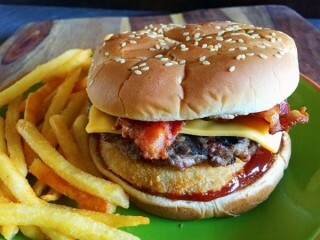 Now you can use the same method, but with reduced-fat ingredients, to cook a lower-fat version of one of the country's first chain burgers. The secret to duplicating the taste of this great Wendy's burger comes down to recreating the spicy Southwestern pepper sauce. And, if you want to stay true to the original burger, you'll have to get yourself some sliced yellow and white colby Jack cheese. Look for the marbled cheese in the deli section—I used Tillamook brand. Cook up some bacon, slap it all together, and you'll have one of the best homemade hamburgers on the planet. Del Johnson and his wife wanted the perfect single-word name for their new restaurant concept. "Something that would merchandise well," said Del. "In the old days, they served steaks on those sizzling platters. In a first class restaurant when you ordered a steak, they'd bring it out, put the butter on that steak and that plate was hot, it was aluminum and it would sizzle when they put it down in front of you. That's how we came up with the name. I knew we wanted to use those sizzling platters." Eventually the restaurant would diversify the menu to include items other than sizzling steak. 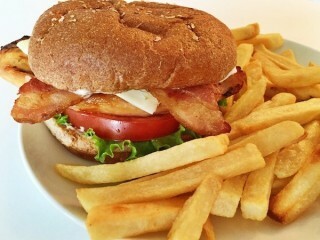 One of those on the menu today is the chicken club sandwich, which you can now easily duplicate at home. Menu Description: "A premium charbroiled chicken breast with sweet teriyaki sauce, grilled pineapple, Swiss cheese, lettuce, tomatoes and mayo. Why did the chicken cross the Pacific? Now you know." You're out there on the front line hanging over the grill. The smoke's in your eyes, the hair on your forearm is singed, and your sunburn is heading toward 2nd degree. But you don't care, because it's Saturday and you still get all of Sunday to heal. 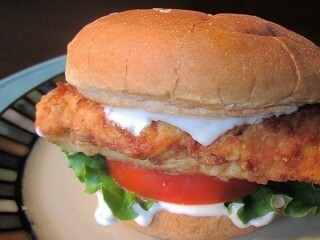 So whip out some chicken and grab the mallet or tenderizer to pound the chicken to a uniform thickness that works best when building these sandwiches. 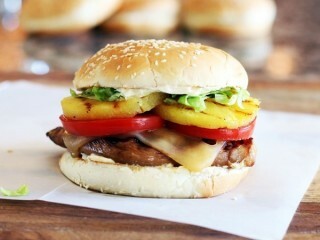 The sweet and salty flavors of the custom secret teriyaki marinade go perfectly with the grilled pineapple and Swiss cheese (this recipe is for one sandwich but you'll have enough teriyaki marinade to make several sandwiches). Just be sure to watch the pineapple and chicken carefully while over the flames, since the teriyaki marinade has sugar in it and could cause nasty flare-ups and charring. Get vertical with these two top secret breakfasts-in-sandwich from the world's number-two fast food chain. A great way to make the eggs for these breakfast sandwiches is to pour the beaten egg into a well-greased mold made from an empty pineapple can. Just cut both ends off an 8-ounce pineapple can—you know, the short cans that have the crushed or sliced pineapple inside. 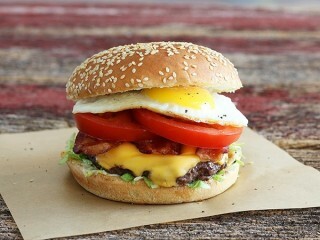 Then, before you know it, you'll be making perfectly round eggs like the fast food pros. The Burger Wars have become the biggest food fight since that cafeteria scene from the movie Animal House. The two burger giants, McDonald's and Burger King, have each been cloning the other's top product in the bloody battle for the big burger buck. Burger King stepped up first with the Big King—Burger King's version of McDonald's Big Mac. Yes, it had two all-beef patties, special sauce, lettuce, cheese, pickles, onions on a sesame seed bun; although everything was arranged a bit differently, and there's no middle bun in there. Then McDonald's rolled out the Big 'N Tasty, which bore a striking resemblance to Burger King's Whopper, with fresh lettuce, tomato, and onion on top of a huge beef patty. Who's winning this fight by leveraging the popularity of the other company's product? Nobody, really. McDonald's chose to alter its Big 'N Tasty recipe by making it smaller 'n cheaper; then changed the name to BigXtra!, while Burger King limited the sale of the Big King and then took it off the menu. But this food fight is far from over. More recently Burger King tweaked its French fry formula in an unsuccessful attempt to steal away fans of McDonald's winning fried spuds recipe. 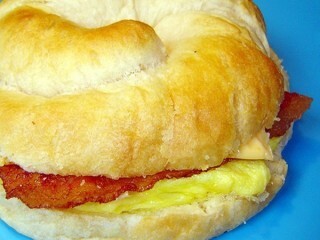 And McDonald's has added more breakfast sandwiches to compete with Burger King's wide wake up selection. So the war continues. And the battlefield is splattered with ketchup. 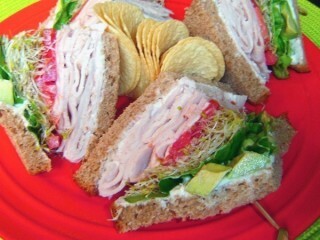 Menu Description: "Sliced turkey, avocado, tomato, sprouts, and lettuce with mayonnaise on wheat bread." The successful chain of Bennigan's restaurants is owned by Metromedia, one of the largest privately held partnerships in the country. Metromedia ranks second on the list of the country's largest casual dining restaurant companies, just behind Little Caesar's Pizza. Other restaurant chains controlled by Metromedia include Steak and Ale, Montana Steak Company, Ponderosa Steakhouse, and Bonanza Steakhouse chains. Altogether Metromedia owns more than 1500 restaurants that ring up nearly half a billion in revenue each year. It's funny how any sandwich with avocado, sprouts, tomatoes, and lettuce in it winds up with "California" somewhere in the name. This recipe is not exactly a healthier alternative with all the mayonnaise and avocado in there, but if it's low-fat you're looking for, simply substitute a "light" mayonnaise for the regular stuff, ditch the avocado, and you're on your way to the beach. Here's a simple, great-tasting burger from a small yet beloved Tennessee-based hamburger chain famous for its quirky buildings, tasty food, and "Sudden Service." Established in 1956 by Pal Barger, this twenty-one-unit fast-service chain accepted the Malcolm Baldrige National Quality Award from President George W. Bush and has performed admirably in markets with bigger chains such as McDonald's, Burger King, and Wendy's. The signature sandwich from this little drive-thru comes slathered with a simple sauce—a combination of ketchup, mustard and relish—that makes quick production of scores of these tasty burgers a breeze when the line of cars grows long, as it often does. Here's a clone for a sandwich that America's number-two burger chain introduced in 1990, and soon after the launch was selling over a million a day. This was the same year that Burger King switched from animal fat to vegetable oil to cook the fried items. 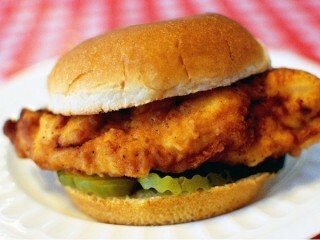 But, even though the BK Broiler includes flame-broiled chicken, rather than fried, it still comes with 29 grams. A big part of that comes from the mayonnaise. So, by replacing the regular mayonnaise with fat-free mayo and by not adding any additional fats, we can produce a sandwich that will taste like a BK Broiler, yet have less than one-quarter of the fat and fewer calories. This grilled chicken sandwich was introduced by America's number-two burger chain in 1990, and soon after the launch the BK Broiler was selling at a rate of over a million a day. Not good news for chickens. This one's easy to duplicate at home. To clone the shape of the chicken served at the burger giant, you'll slice the chicken breasts in half, and pound each piece flat with a mallet. Pounding things is fun. Let the chicken marinate and then fire up the grill. 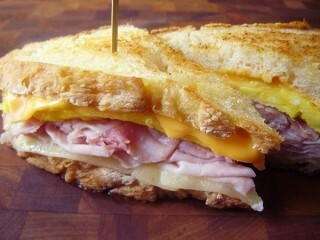 The recipe makes four sandwiches and can be easily doubled if necessary for a king-size munch fest. The burger wars are on. Burger King stepped up first with this competitor of the Big Mac. Yes, it has two all-beef patties, special sauce, lettuce, cheese, pickles, onions on a sesame seed bun—although everything's arranged a big differently, and there's no middle bun. The beef patties are also bigger than those found on a Big Mac. The other big difference? The Big King weighs in with 12 grams more fat than Mickey D's signature product, for a grand total of 43 grams. 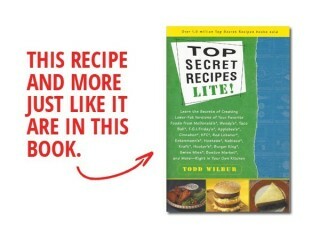 Here's a clone that re-creates the "secret" burger spread from scratch and includes super-lean ground beef. Add it all up and you've got a gram-zapping clone that comes in at around one-third the fat of the real thing. In January of 2011 Burger King introduced the fast food world’s first stuffed burger. 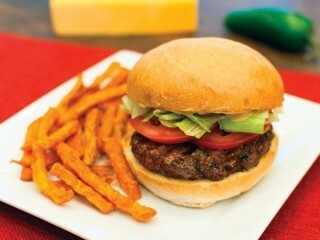 Spicy bits of real jalapeno and little chunks of cheddar cheese are embedded in the quarter-pound beef patty which is flame-broiled and stacked on a corn-dusted bun with lettuce, tomato and an excellent spicy poblano sauce. Making the burger is no big secret: just chop up jalapenos and cheddar cheese and work them into the ground beef, then freeze the patties so that they hold their shape when grilled. The freezing will also prevent the cheese from melting too much. The real kicker in this recipe is the sauce. 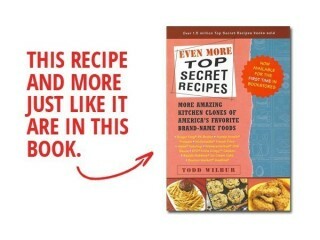 I had to design the formula to make much more than you will use on these 4 burgers because there needs to be enough volume for your food processor or blender to properly work its magic. If you have an extremely small food processor you can certainly cut the sauce recipe in half and there will be plenty for all your burgers. But then again, if you go with the whole recipe you’ll have extra sauce left over to spread on other sandwiches or to use as a dip for grilled artichokes. In 1954, in Miami, Florida, James McLamore and David Edgerton built the first Burger King Restaurant. By 1991 more than 6,400 Burger King outlets could be found in forty countries and all fifty states. That gives this burger giant more than $6 billion is sales each year, making it the country's second-largest fast food chain. For many, the favorite item on the menu is a flame-broiled hamburger conceived by the partners on a business trip from Orlando to Miami in 1957. Dubbed the "Whopper," this sandwich is overwhelmingly popular; figures show that Burger King sells more that 540 million annually, or nearly 2 million each day. 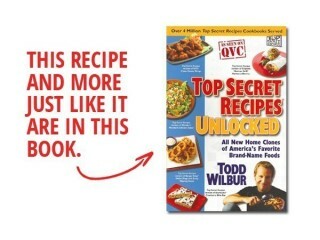 And with more than 1,023 different combinations of the eight-or-so ingredients, including a vegetarian version, you really can "have it your way." 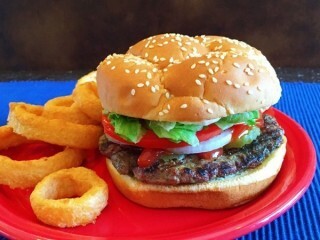 Try this Burger King Whopper copycat recipe today! Visit the Bennigan's Web site and you'll find out that in the early 1900s, Irishman D. Bennigan came to the United States to work as a bartender with the dream of one day opening his own tavern. During the depression, Bennigan got his wish when he purchased an old, foreclosed bar; redecorated it, and opened the original Bennigan's Irish American Grill and tavern. The "Our Story" page also explains that today all Bennigan's restaurants still use elements from that original location such as the brass rails, period pictures, and memorabilia hanging from the walls. What the Web page won't tell you is that this history is entirely made up. You'll have to dig a little deeper to find out that Bennigan's actually started in Atlanta, Georgia, in 1976, and was, at that time, owned by Pillsbury. For this clone, well use a special technique developed in the secret underground test kitchen to prepare the chicken without frying. This will knock that fat down to just around one-third of the original. 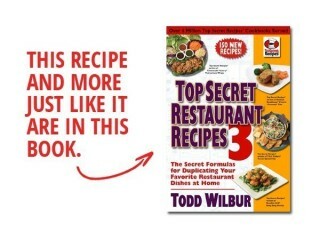 Here's an awesome kitchen clone for a selection off of Arby's 3-item "Light Menu." As other fast food chains were zigging by creating giant gooey burgers with fat grams in the 40-plus range, this 3,100-outlet roast beef sandwich chain opted to zag, offering a selection of scrumptious sandwiches with only 6 to 10 grams of fat each. The secret to recreating the special Arby's taste in the Roast Chicken Deluxe is the marinade. Let your chicken soak in it for several hours, or even overnight. It also helps if you have a meat slicer to get that paper-thin, deli-style cut to the chicken. If you don't have a slicer, do what I do. Use the "poor man's meat slicer," otherwise known as a very sharp knife and a steady hand. When the first Big Mac was served by a McDonald's franchisee in 1968, it was a time when all food in America was prepared with little attention to the amount of fat. Some low-calorie products had been developed, but they were not hugely popular, and most Americans ate and prepared food using whatever ingredients made it taste the best. Around 27 years later, McDonald's responded to the public's rapidly changing, health-conscious eating habits with the McLean Deluxe, a burger with a significantly reduced amount of fat. But the McLean Deluxe was not a commercial success; it never even came close to selling as fast as the other McDonald's burgers. Soon, the McLean Deluxe was history. And today, as reduced-fat products in supermarkets are selling faster than ever, McDonald's has not replaced the McLean Deluxe on its menu. The Big Mac is still king, with its 31 grams of fat. 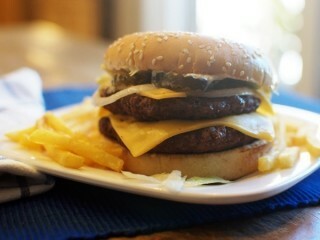 Here's a clone to make a version of the Big Mac at home with less than half the fat of the original. 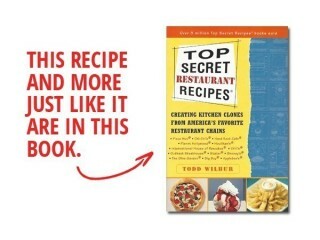 Source: Top Secret Restaurant Recipes Lite by Todd Wilbur. In 1963 the busiest clown in America, Ronald McDonald, made his debut in Washington, D.C. But beneath that red wig and 14 1/2-inch shoes was someone who would later become the portly weatherman on NBC's "Today" show. It was Willard Scott. Future Ronald McDonald wanna-be's get their training at McDonald's "college," just as many of the chain's managers and franchise owners do. It is a surprisingly busy institution. By 2001 the 40,000th student was granted a Hamburgerology Degree from McDonald's Hamburger University in Oak Brook, Illinois. Hamburger University was set up to provide instruction for McDonald's personnel in the various aspects of their business—equipment, controls, human relations skills, and management skills. Nearly 3,000 students pass through the halls of the school each year as they continue to grow in their McDonald's careers. And the American council on Education has approved eighteen of the university's courses for college credits. One more chapter in the studies of H.U. graduates came in 1985, when the "hot side" and "cool side" of the McD.L.T. found their way onto McDonald's menu. It lives on only here, for five years after it was introduced, the McD.L.T. was dropped and replaced with the McLean Deluxe. 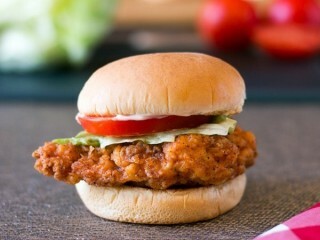 McDonald's introduced its new sandwich in 1996 with a $200 million marketing blitz aimed at winning over grown-ups. We watched Ronald McDonald golf, dance, and hang out with sophisticated human beings, rather than his usual gang of puppets. These messages were supposed to tug at the adult market lost to more inspired sandwich creations from chains like Wendy's and Arby's and Carl's Jr.
Did the campaign work? 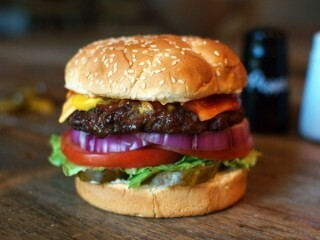 So far, the sales figures have been less than stellar for the burger with even more fat in it than a Big Mac. 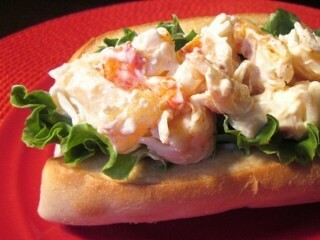 But the sandwich, with its specially developed Dijon mustard-mayo sauce, does have its share of devoted fans. Perhaps even more of us would get on Team Arch Deluxe if we could make a clone using reduced-fat ingredients to knock the fat down to nearly one-third that of the original, as I have here.